One of the most striking features of mathematics is the fact that we are much more certain about the mathematical knowledge we have than about what mathematical knowledge is knowledge of. Are numbers, sets, functions and groups physical entities of some kind? Are they objectively existing objects in some non-physical, mathematical realm? Are they ideas that are present only in the mind? Or do mathematical truths not involve referents of any kind? It is these kinds of questions that have encouraged philosophers and mathematicians alike to focus their attention on issues in the philosophy of mathematics. Over the centuries a number of reasonably well-defined positions about the nature of mathematics have been developed and it is these positions (both historical and current) that are surveyed in the current volume. Traditional theories (Platonism, Aristotelianism, Kantianism), as well as dominant modern theories (logicism, formalism, constructivism, fictionalism, etc. ), are all analyzed and evaluated. Leading-edge research in related fields (set theory, computability theory, probability theory, paraconsistency) is also discussed. 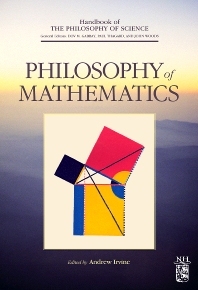 The result is a handbook that not only provides a comprehensive overview of recent developments but that also serves as an indispensable resource for anyone wanting to learn about current developments in the philosophy of mathematics.